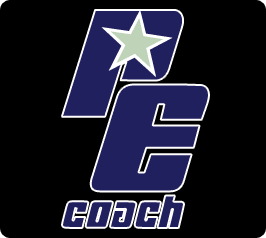 PE Coach is an app intended for use by therapists and clients engaging in Progressive Exposure (PE) therapy for Post-Traumatic Stress Disorder (PTSD). PE therapy is a specific form of psychotherapy, provided by a professional, aimed at helping survivors of trauma process their experiences, which can alleviate symptoms of PTSD. PE Coach is designed to be an add-on to this therapy: it contains tools for recording sessions, completing homework, and practicing skills learned in the treatment room. This allows users – with their providers – to stay on top of their treatment with the goal of obtaining the greatest possible benefit. One study examined mental health clinicians’ (N 271) use of a PE Coach for post-traumatic stress disorder, called PE Coach. A Web-based survey assessed clinicians’ perceptions of the app. Half of the sample practicing PE in the past year reported using PE Coach, with 93.6% intending to continue using it. For clinicians who did not use PE Coach, 77.6% intended to use it in the future. Perceptions of PE Coach were generally favorable. Another study examined PE Coach with 2 soldiers to assess usability and satisfaction with the app. Soldiers completed 8 sessions of PE and used PE Coach during 4 of those sessions. Soldiers rated the PE Coach positively and reported higher levels of satisfaction during PE with PE Coach as compared with PE alone.